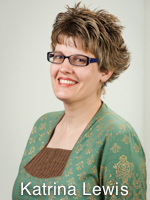 Katrina Lewis received her Bachelor of Interior Architecture in 1998 and Master of Regional and Community Planning in 2001 from Kansas State University. She has taught design studios at the college level since 1998: at Kansas State University in the Department of Interior Architecture and Product Design, at Chongqing Jinazhu University in the People’s Republic of China for one year, in Afghanistan at Kabul University for two summers, and in Bangladesh at the Asian University for Women for one year. Katrina’s scholarly interests include: teaching methodology, especially in the beginning design student; international educational experiences, cultural exchanges, and study abroad; and the intersection between design and social justice. She received the honor of being selected as a Rotary Peace Fellow for professional studies in peace and conflict resolution at Chulalongkorn University, Bangkok, Thailand from June - August 2012. The Fellowship was a life-changing experience, shaping Katrina’s desire to create a stronger link between design and peace.